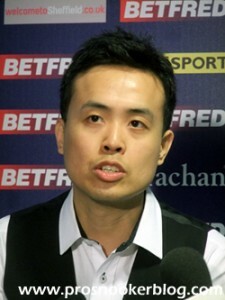 Following a much needed night of sleep after yesterday’s drama, I was back at the Crucible surprisingly early this morning as Marco Fu looked to finish off Jimmy Robertson, having edged the opening session 5-4, while Barry Hawkins got underway against Matt Selt. Opting to stay in the media room for this one, I got caught up on here with my day one blog while Fu and Robertson split the first four frames to see the scoreline move to 7-6. 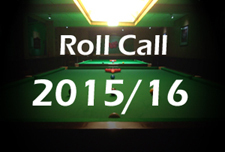 As identified by both players in their respective press conferences after the match however, it would be the 14th frame that would prove pivotal as Marco took a two frame lead at 8-6, following which Jimmy’s standard was to drop. Shortly afterwards, Marco was to add the extra two frames that he needed to seal victory. Jimmy spoke of it taking him half a session yesterday to settle down, but said that he felt more comfortable today and was hoping to use the experience gained to feel even better the next time that he makes it here. Slightly amusingly, he was asked whether he was tired and he said no, only to explain the travelling that he had undertaken since the qualifiers and that he had no idea what day it was. So the answer was probably yes! For Marco’s part, interestingly he spoke of needing to find the balance right mentally and of not having found ‘the secret’ to doing well at this tournament, despite having previously reached the semi-finals back in 2006. He spoke of the all-round game required and the balance needed to be struck, as there is something different about this tournament to the other events. Elsewhere this morning, the highlight amongst the blogging banter was resident Spanish blogger @esnukero asking the Betfred girls for a latte (this isn’t Starbucks), which was perhaps more than could be said for Matt Selt’s morning as he won just two frames from seven against 2013 runner-up Barry Hawkins. In the afternoon I decided to head on in for the opening session of the match between Neil Robertson and Jamie Jones, always good to see another of the contenders getting their campaign underway. Coming into the match, Jones had a negative head to head record to overcome and he did not get off to a good start as Neil took a couple of scrappy frames to lead early on, before Robertson went three clear with a brilliant 143, probably the best break that I have seen from that close since Stephen Hendry’s 147 back in 2012 on the same table. Jamie did have a chance in the next after an in-off from Robertson, but as he missed the opening red a double cuebang from the Welshman told you all that you needed to know about how he was feeling. Over on table two, there was some excitement as shortly before Neil’s 143, Ricky made it to 104 on the way to a 147 before breaking down. 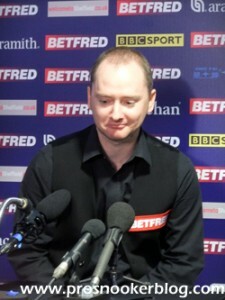 That was though to be as good as it would get for the 2013 semi-finalist, as from 7-6 down, Graeme Dott won four of the next five frames to become the first qualifier to make it through to the last 16. Ricky was understandably disappointed with the result and in particular how he had played, while Graeme was in good spirits and admitted that it probably was an upset. I asked him whether he felt that the longer matches helped him in comparison with the best of 7’s and he compared to a Grand National horse, giving the written press here a nice line for their pieces. 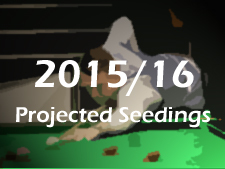 Following a brief adjournment for food as the tournament saw rain for the first time this year, I returned for the evening session as the matches that began yesterday involving John Higgins and Stephen Maguire were played to a conclusion. For Higgins, the match proved to be a relatively comfortable one, a 10-5 victory seeing him through to the last 16 at the Crucible for the first time since 2012 when he lost heavily to Stephen Hendry. 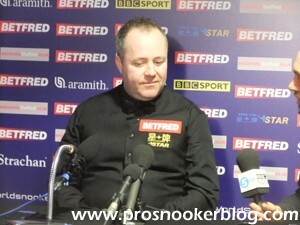 Milkins was philosophical in defeat, saying that it was probably the best that he had seen Higgins play for four or five years and admitting that there was little that he could do. John though was understandably delighted and though playing down his chances of a fifth world title this fortnight, said that the hunger to win still burned as strongly as ever. At around the time that Higgins was writing off his own title chances, Stephen Maguire was fighting back to 6-9 down against Anthony McGill and as he added another frame to increase the pressure upon his opponent, I decided to head back into the arena for another dramatic finale. As I said yesterday, with the curtain up and one close match being played to a finish, the Crucible really comes into its own and that was very much the case again in tonight’s all-Scottish battle. 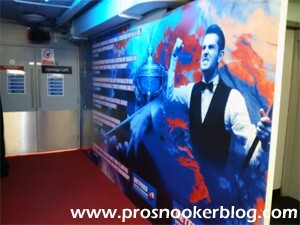 By this stage in the match it was Maguire who was in the ascendency, taking on his shots and looking to make something happen, while for McGill he was perhaps not going for some of the shots that had taken him to the brink of victory. Perhaps inevitably, it was all to come down to a deciding frame and despite the tension, there was still room for a few laughs as Maguire had to move an ice bucket to play a shot, passing it over to Jan Verhaas in a move that had everyone in the arena smiling. 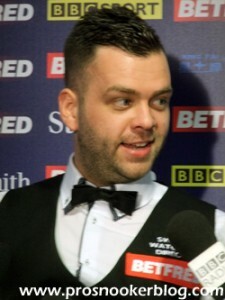 The last laugh though was to come from McGill, as he was able to repeat his trick from less than a week ago against Mark King by taking the deciding frame with a brilliant century break, showing that he had no shortage of bottle when it really mattered. In his press conference afterwards Anthony said how he had come into the match full of confidence and expecting to win, perhaps due to the familiarity of having practised with Stephen before and it was impossible to take the smile off his face. 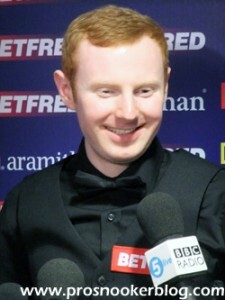 There were a number of amusing answers, not least as he was fairly unimpressed with the nickname given to him by resident MC Rob Walker, but perhaps the most interesting thing to note was how he had been hoping that Mark Selby would come through his opening match against Kurt Maflin, so that he would have the opportunity to take on the defending champion over three sessions. 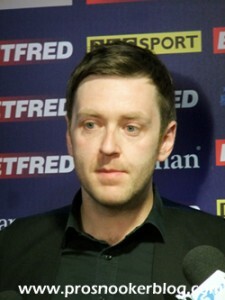 Maguire for his part spoke well of Anthony and of course was disappointed, but perhaps not as much as I have seen him at other press conferences in recent years, this having been his fourth 10-9 loss at the first round stage from the last five years.